In the displayed example, our interactive map is used on the start page as a navigation element. 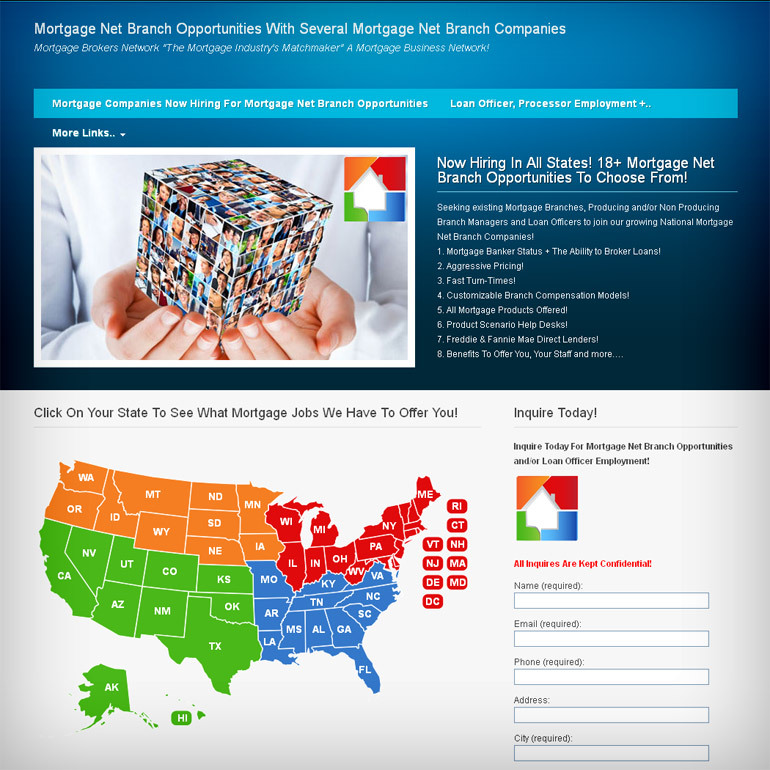 You can see that by clicking on the state the visitor is being redirected to the separate fully-functional website page with the latest news from mortgage companies of the selected state. This approach improves the website usability and interactivity. Also you can see that the website developers colored the US map into several regions in accordance with their structure. The interactive map used on the viewed website works with WordPress and can be set up as a separate plugin with fully-functional WYSIWYG editor.